In 2013, Repos productions released a game called Rampage. It was inspired by, and in part, based on the 1986 video game of the same name. Alas, Repos had not secured the rights to use this name, and so in June of 2014, the game was rereleased as Terror in Meeple City. I recently got to play a game with a friend of mine. He had managed to acquire one of the original Rampage versions right as the new edition was being released. So the photos I have will look slightly different from what you can expect to find if you go out and buy the current Terror in Meeple City. With that said, let's get on to the review, staring (as always) with some numbers! Here we have another reprint of an article that I originally wrote for PinkFae. 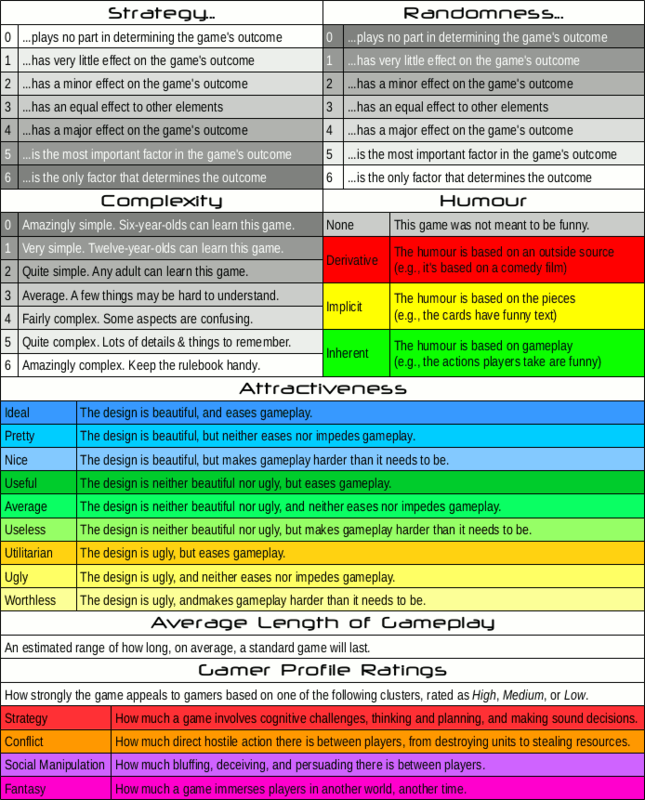 I'm excited to bring you this one, in which I discuss a topic of which I think a lot of people lose sight: what really is the object of a game? Enjoy! 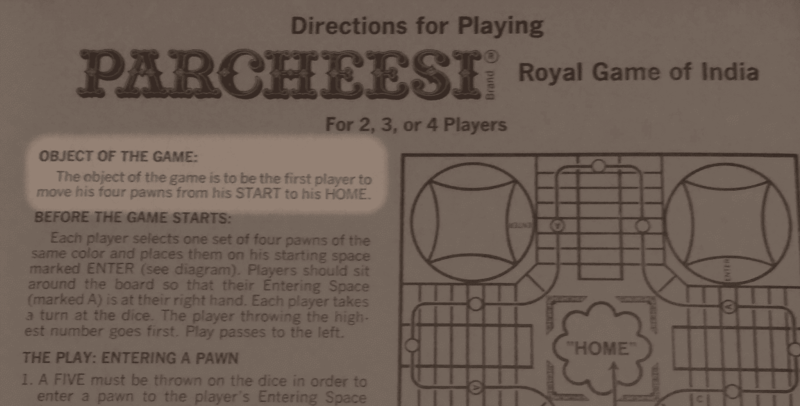 Often, when reading the rules to a board game, you will find an entry listed as 'Object of the Game.' This tells you the conditions which a player must fulfil in order to be declared the winner. 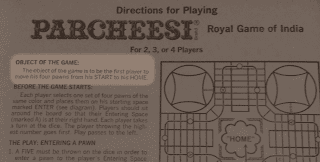 However, it is misleading to call this the 'object' of the game. The object of the game is to have fun! Obviously, I've talked about this some before. But I want to talk about a specific phenomenon that I see frequently in games, and that's confusing the object of the game with the victory conditions. Many years ago, I saw a game called Clans being sold in a game store. I read some reviews online, and thought it looked like a good investment, so I bought it. I played it, and I loved it. You can see what I thought of it in my review. 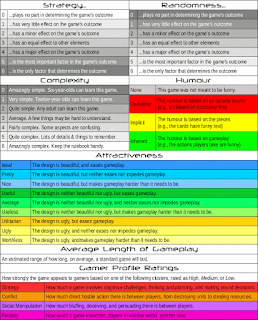 A couple of months ago, I noticed that there was a listing on Board Game Geek for a reimplementation of this game called Fae. I was apprehensive, yet excited. 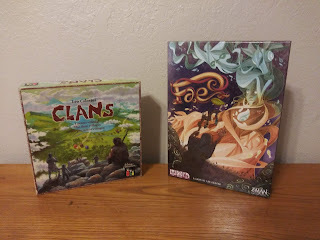 Clans had been out of print for some time, so I was pleased to see that it would be available again, although I was concerned that they had complety changed the theme. I finally got my hands on a copy of it. So today, I'm going to compare the original game, Clans, to its reimplementation, Fae. It seems as though everyone who loves board games loves Azul. So when I had a chance to play it, I absolutely had to give it a try! And I must say, I can see why so many people enjoy it. It's very thinky-thinky, with a pleasant theme and some really nice components. But I'm getting ahead of myself. So let's go ahead and get started, with my review of Azul.